Nick began the first chapter of his Complete Show Services career in 1995. After a few years of learning the business from the ground up, Nick decided to pursue a career in the financial services sector. He quickly rose through the ranks of major international banks, then applied that experience to several start up ventures. When his father, Bob Cordaro, in 2005 contemplated his successor and approached Nick with the prospect of rejoining the family business. Nick happily agreed. During the next decade, they would work side by side and Nick steadily moved up the chain of command to his present day role of President. Nick’s current role of President has him overseeing all day to day operations of Complete Show Services. 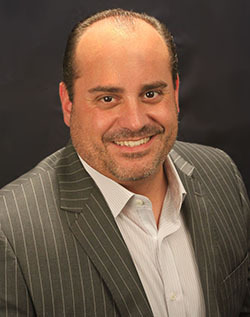 It is Nick as the visionary and carrier of the Company’s torch to keep the flame lit, so that Complete Show Services maintains its strong reputation of integrity, quality and customer Service which is the foundation of COMPLETE SHOW SERVICES’s continued success. Nick is an IT guru, creative force, problem solver, motivator, leader and mediator. Nick has the respect and support of his many clients and the entire COMPLETE SHOW SERVICES staff.